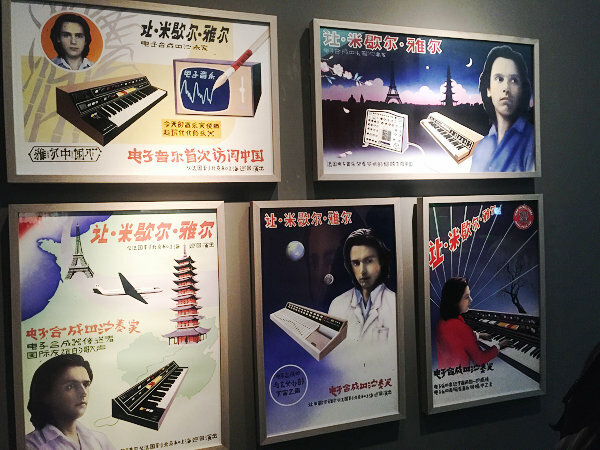 However, when the Ministry of Culture changed its name in March 2018 to the Ministry of Culture and Tourism of China, it marked a new era of the two concepts developing hand in hand. 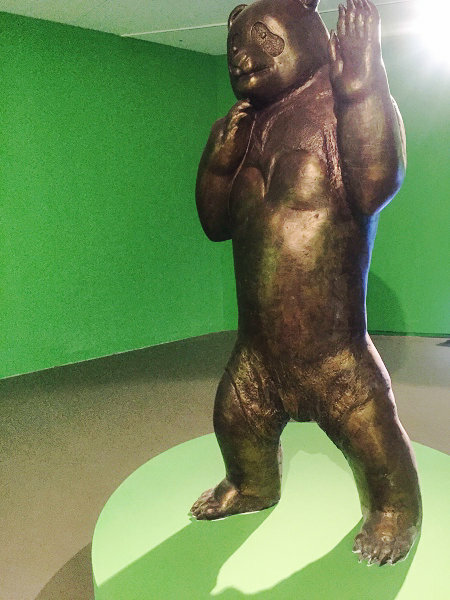 The ongoing exhibition A Journey in Love - which opens with a panda statue slowly circling around a green-walled room - explores the experiences of travelers connecting with different cultures in the form of installations, pictures and short animated films. 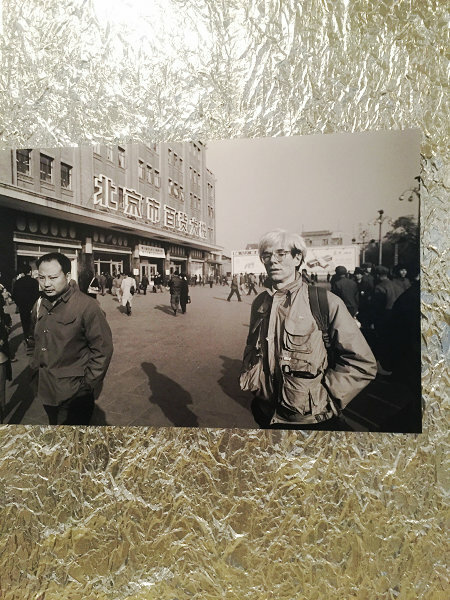 Andy Warhol is featured among these travelers, through pictures and portraits of him as well as photos he took during his visit to China in the 1980s. 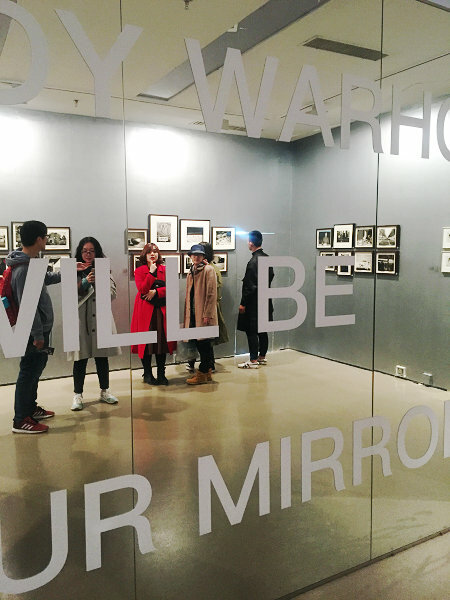 Black-and-white photos, capturing a Beijing of a bygone era, were reflected poetically in a large glittering mirror with a more modern design. A photo of Warhol on the Great Wall hung beside his imaginative description of the world wonder:" It doesn't look like a wall, it looks like a rollercoaster without roller." 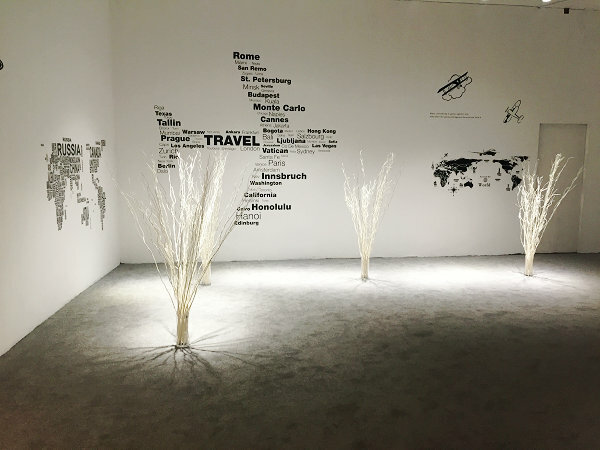 Besides photos and videos recording foreign artists visiting China, other works by young Chinese artists focus on very personal experiences and offer visitors vicarious visual journeys. The animated film New Shan Hai Jing transports you to a distorted world, or hell, one that some more sensitive visitors might find disturbing. Black ravens, large spiders and animal-shaped cars all materialize in a gray and dark place with an ominously cloudy sky. 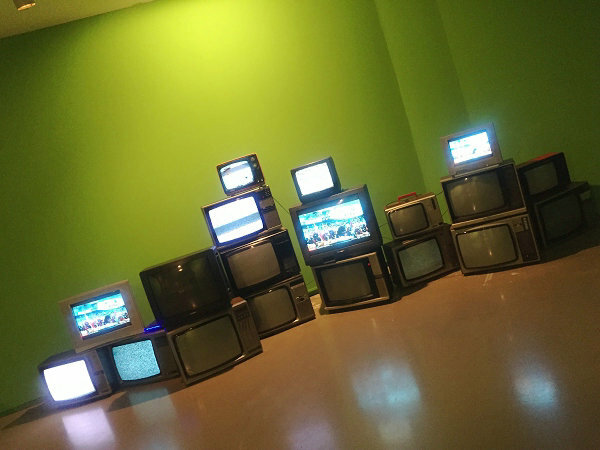 Finishing off the exhibition is an installation mimicking a classroom. The artist believes our memories about classrooms from our childhood are an irreplaceable form of travel in our lives.